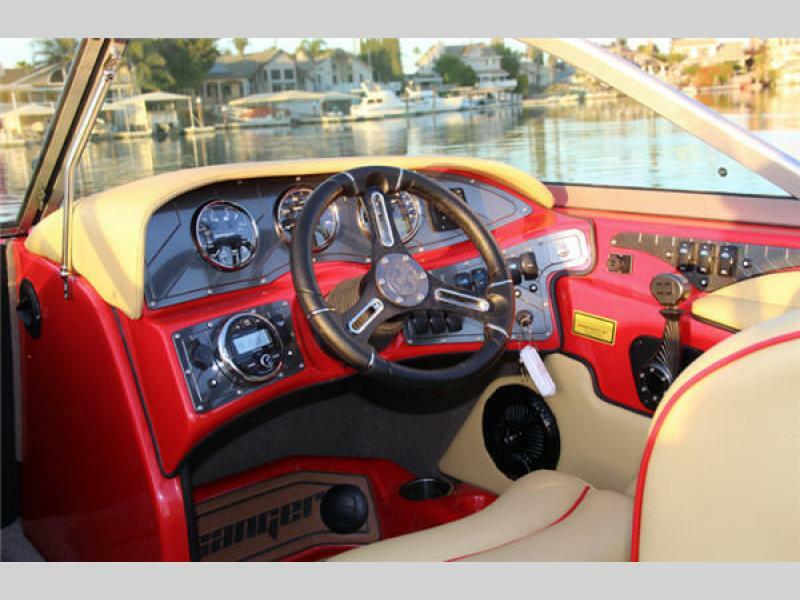 Sanger Boats, where craftsmanship and quality come out on top! 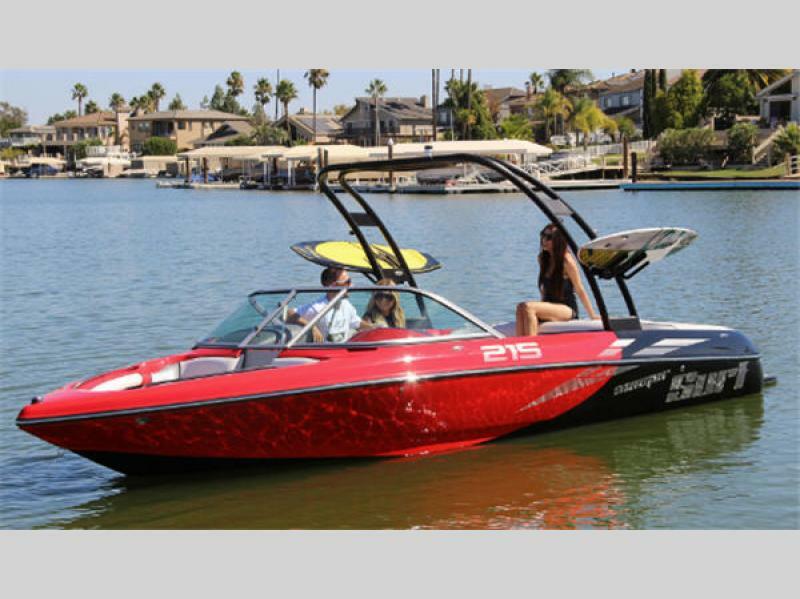 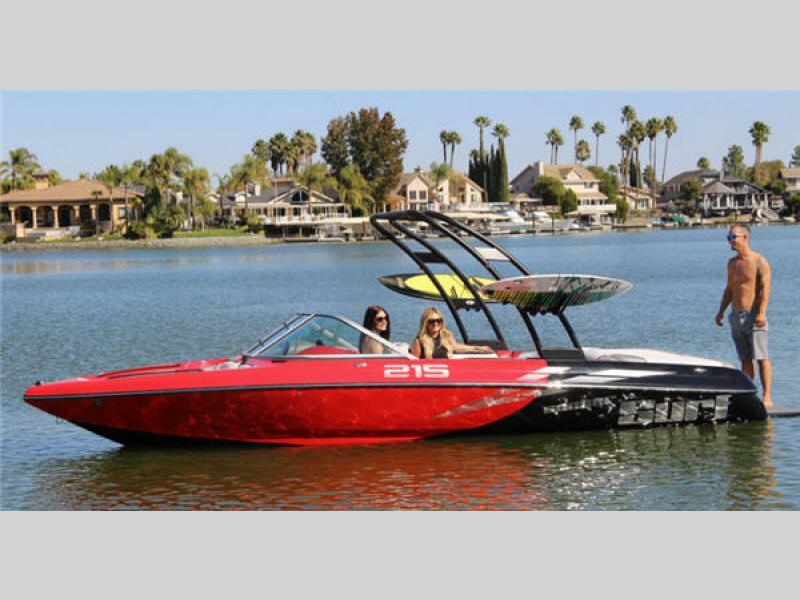 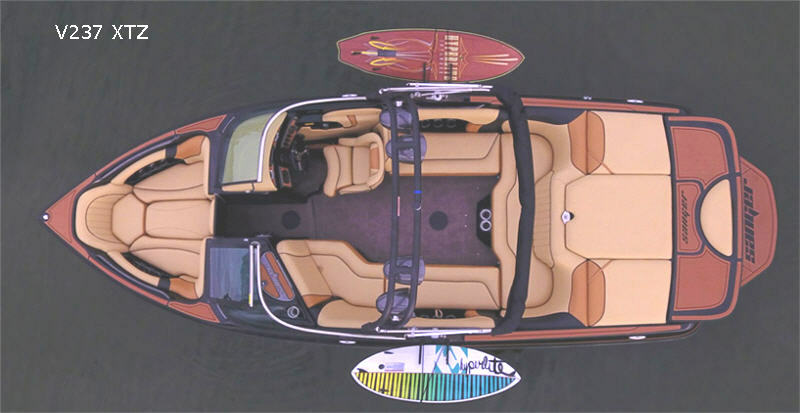 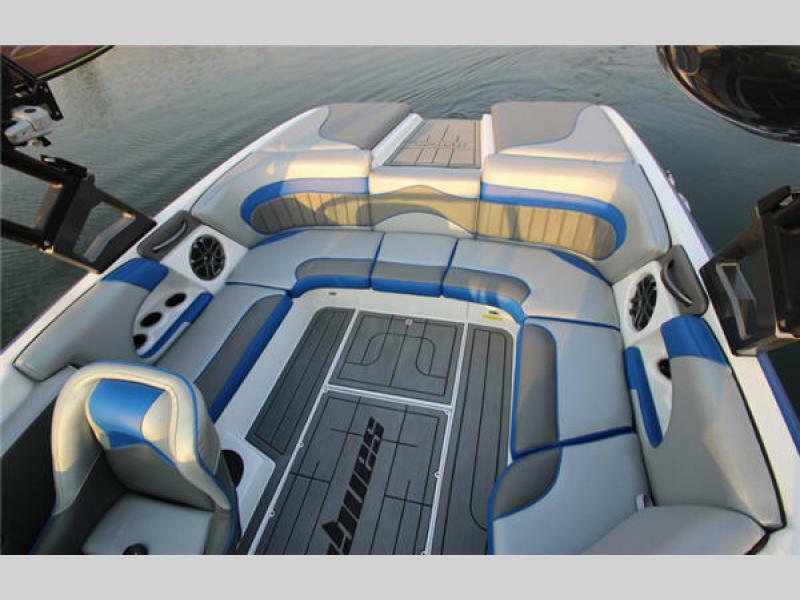 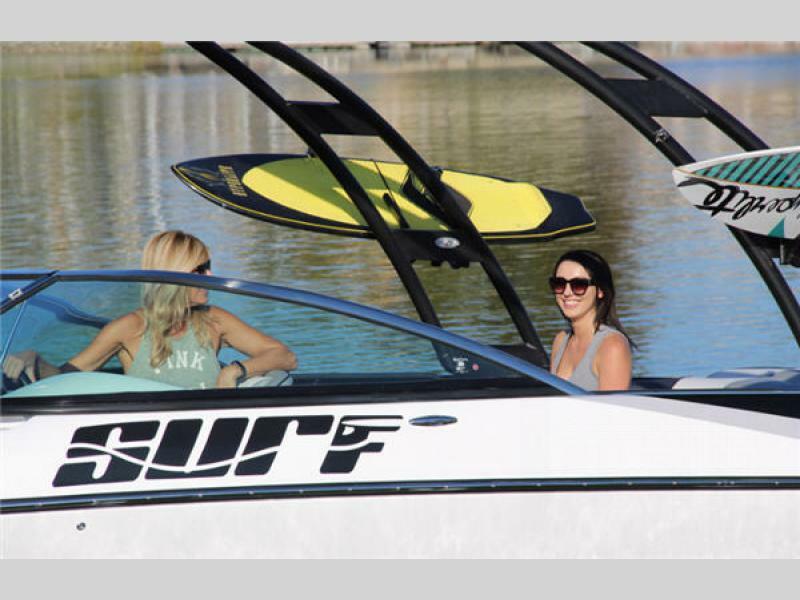 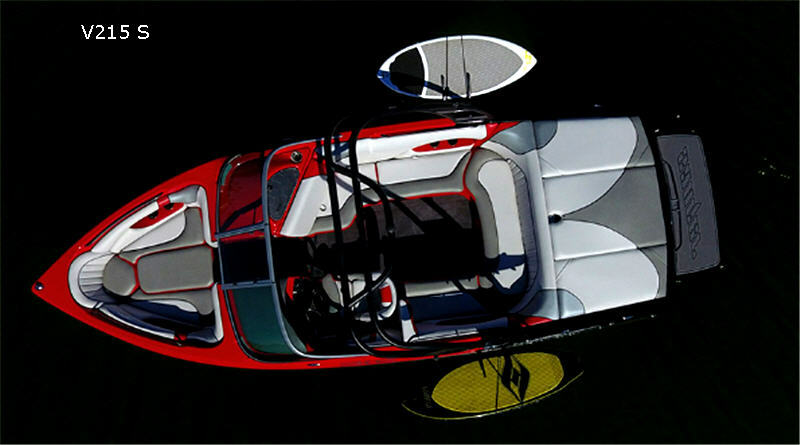 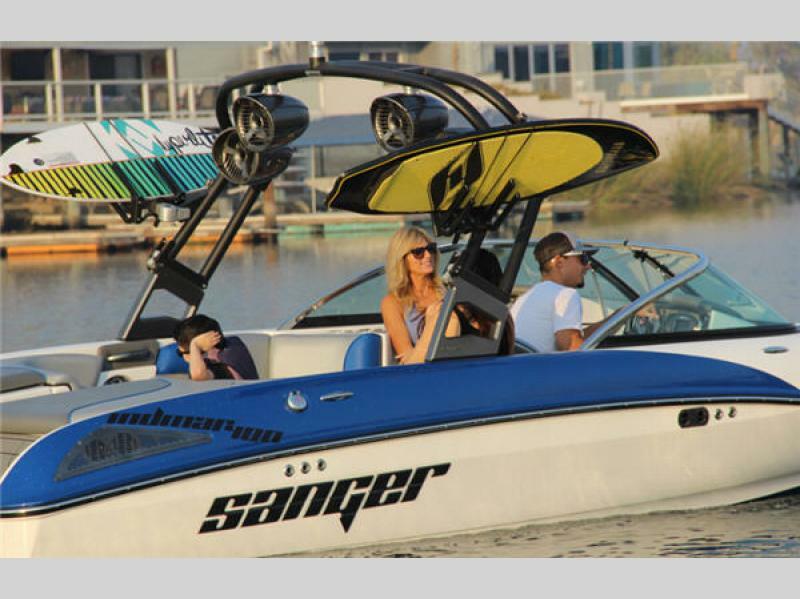 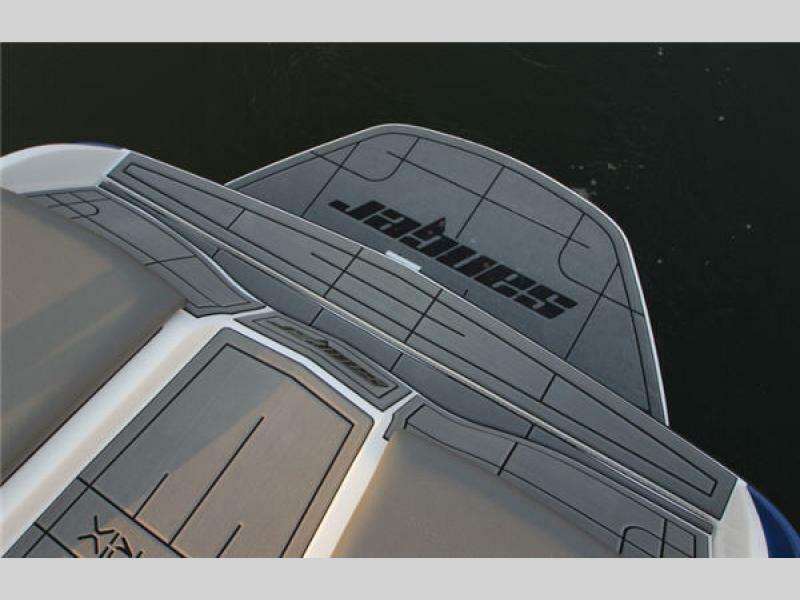 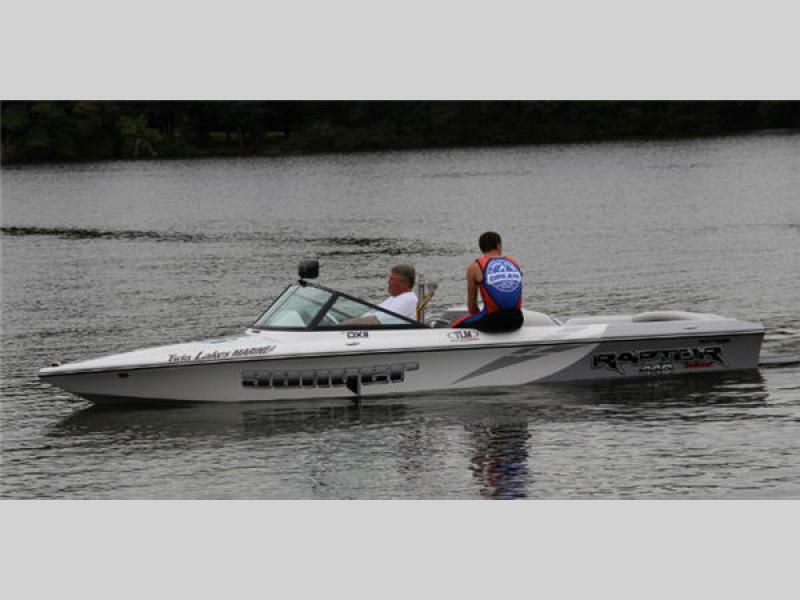 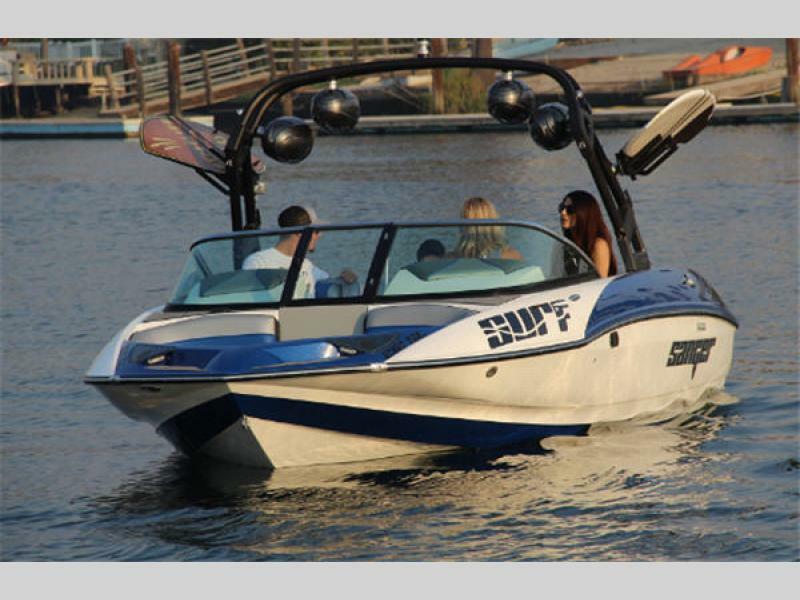 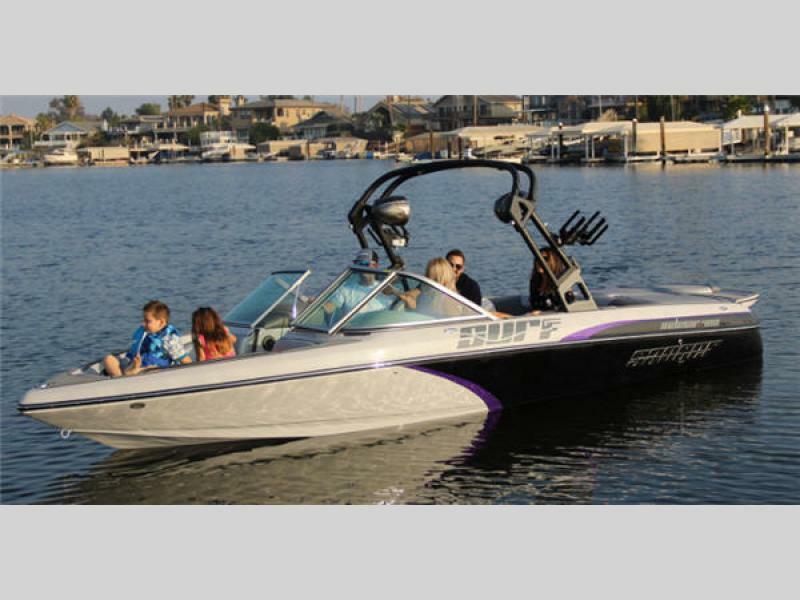 You are sure to find the perfect wakesurf, wakeboard, or high performance ski boat in the Sanger line-up. 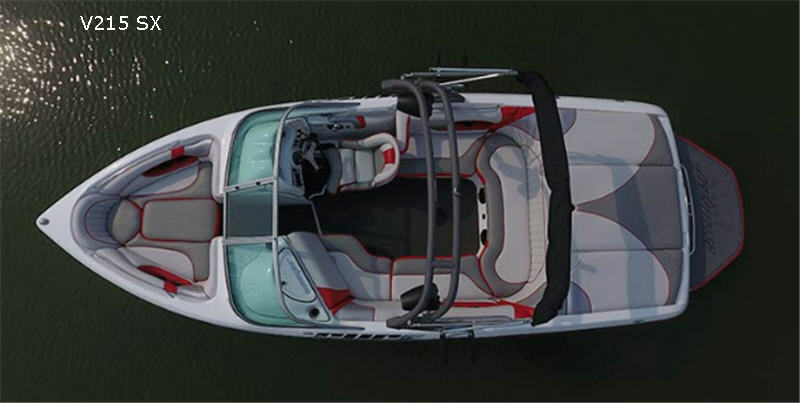 Each boat is rigged with precision and care, one at a time by a single individual, not an assembly line as in mass production. 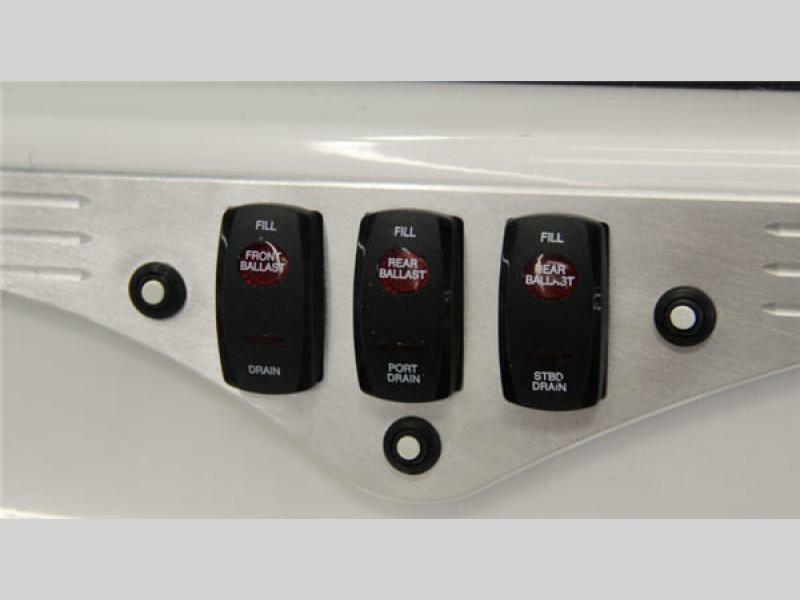 This ensures that no task big or small is missed. 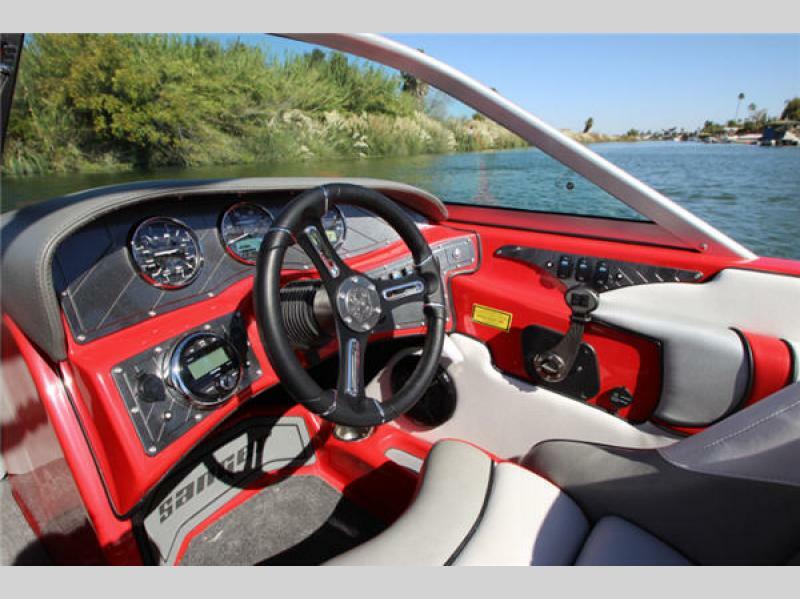 The ten acre facility where the boats are constructed is in the heart of California's central valley where the climate seems to be a perfect mix of heat and humidity which is needed to build some of the world's finest wake, surf, and ski boats. 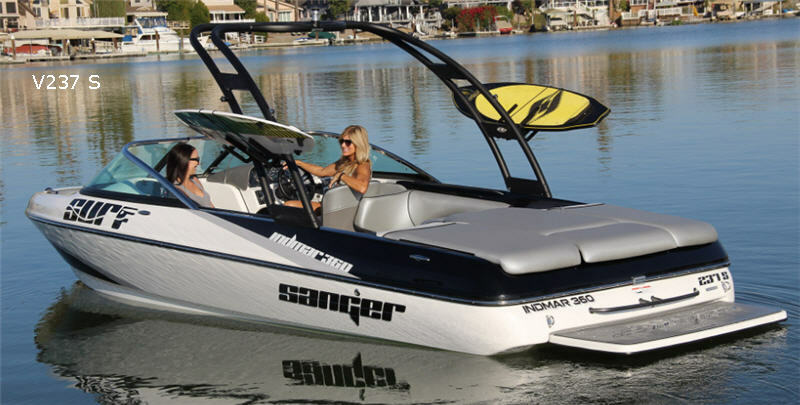 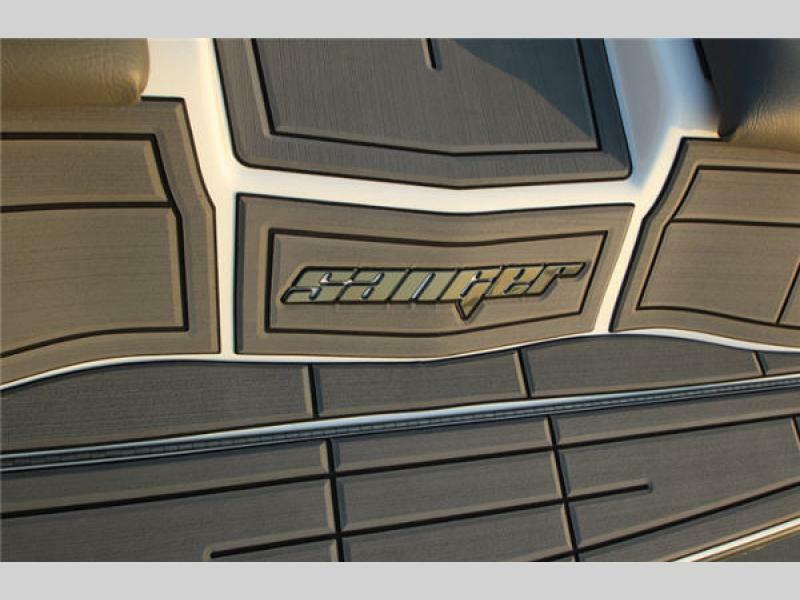 The Sanger line-up includes eight models that are perfect for beginning boaters and those learning to wakeboard, wakesurf, or water ski, as well as those who are top world championship barefoot skiers and seasoned boaters. 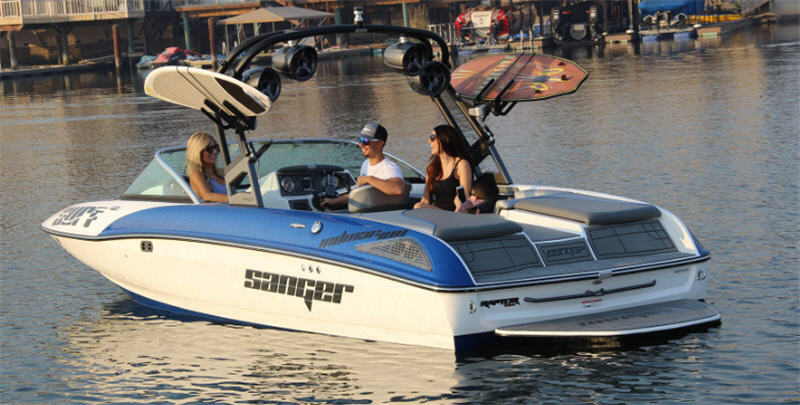 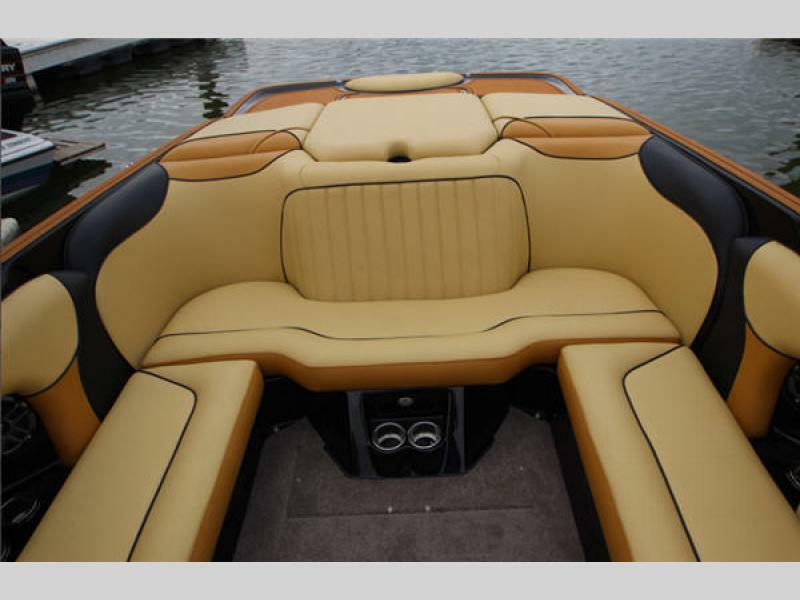 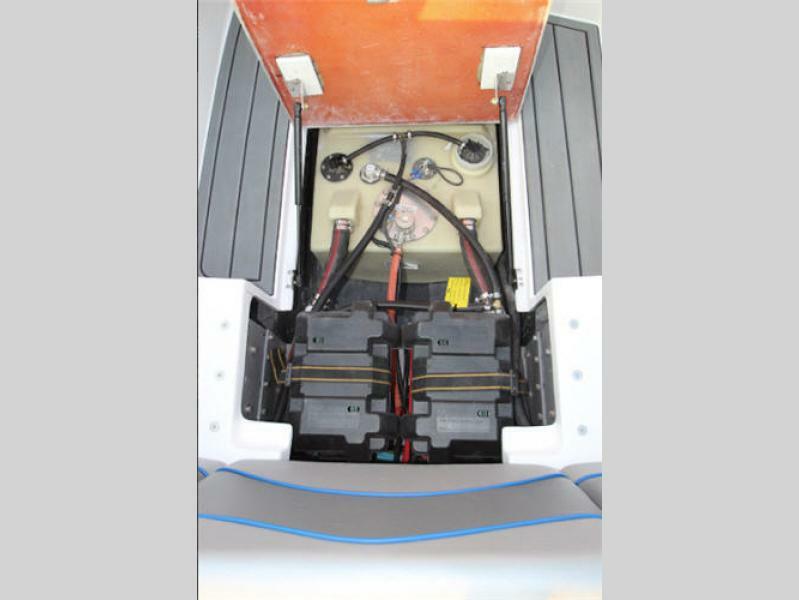 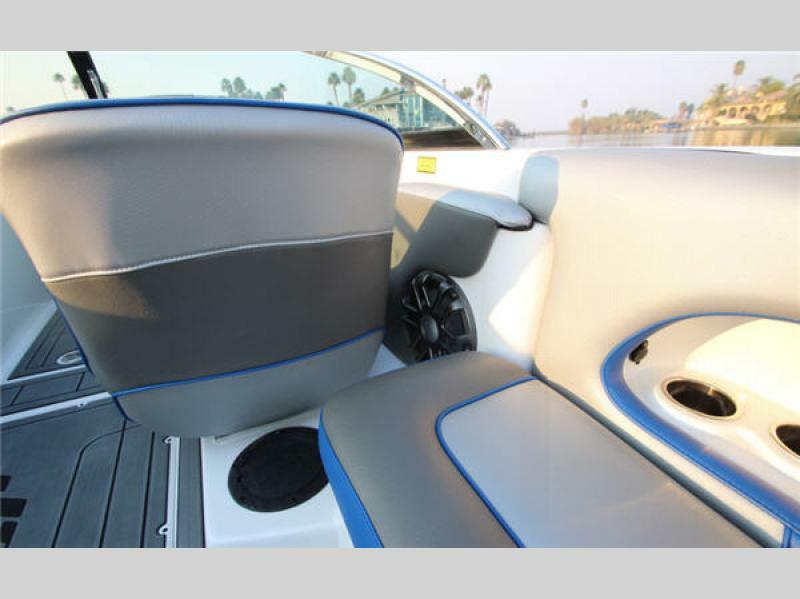 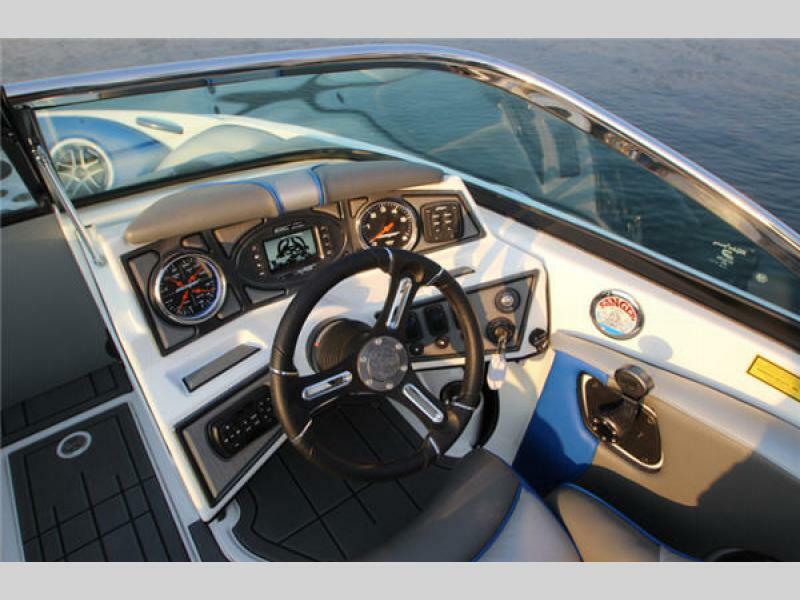 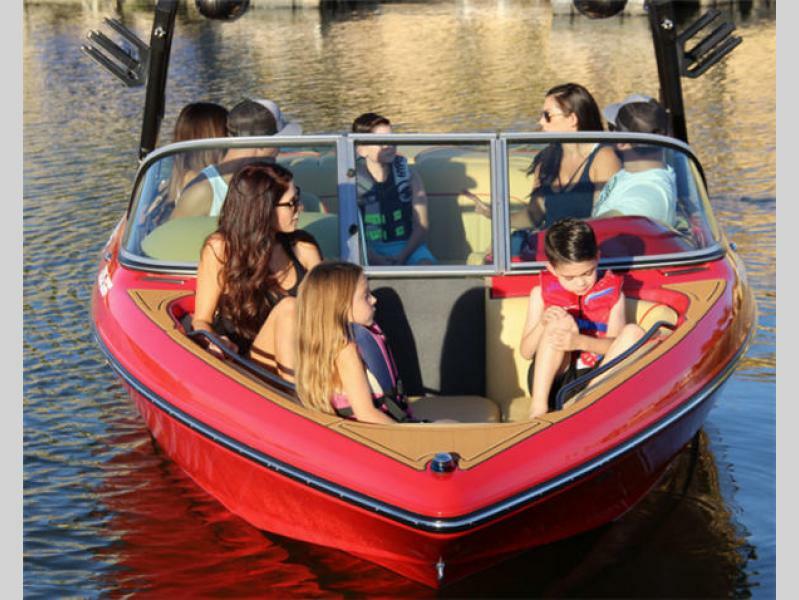 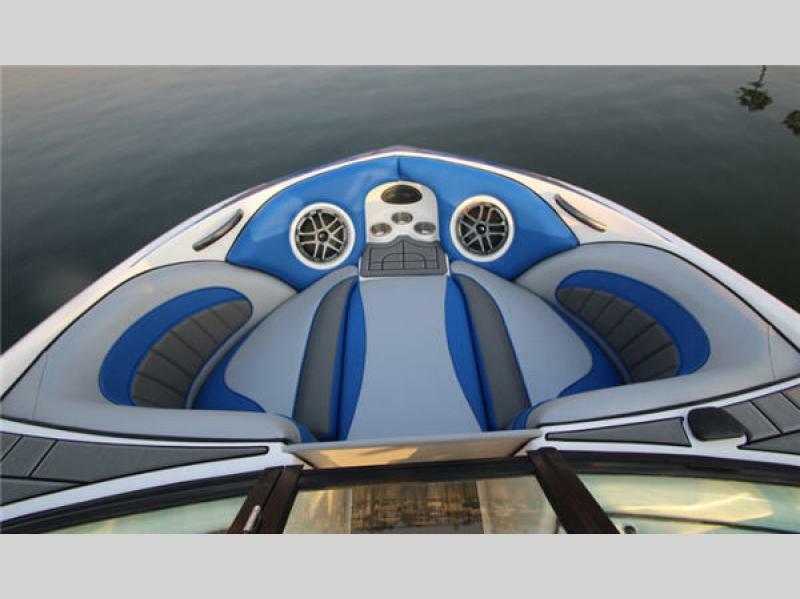 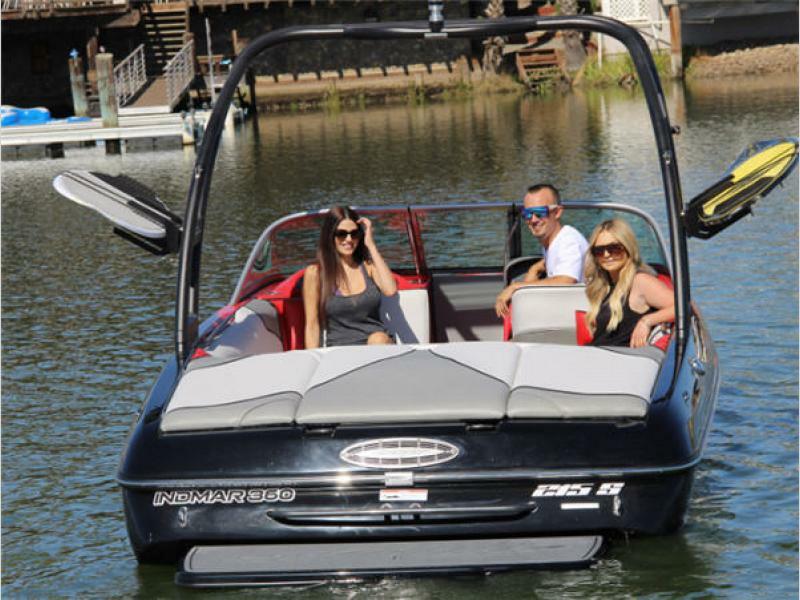 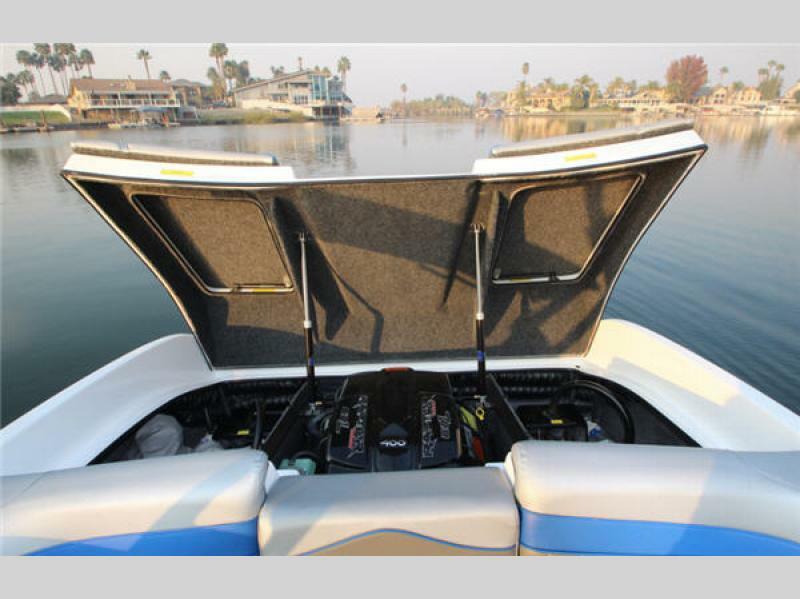 So, for a hand-built, high-quality wakeboard, surf, or ski boat, choose the Sanger boat that is perfect for you and your family! 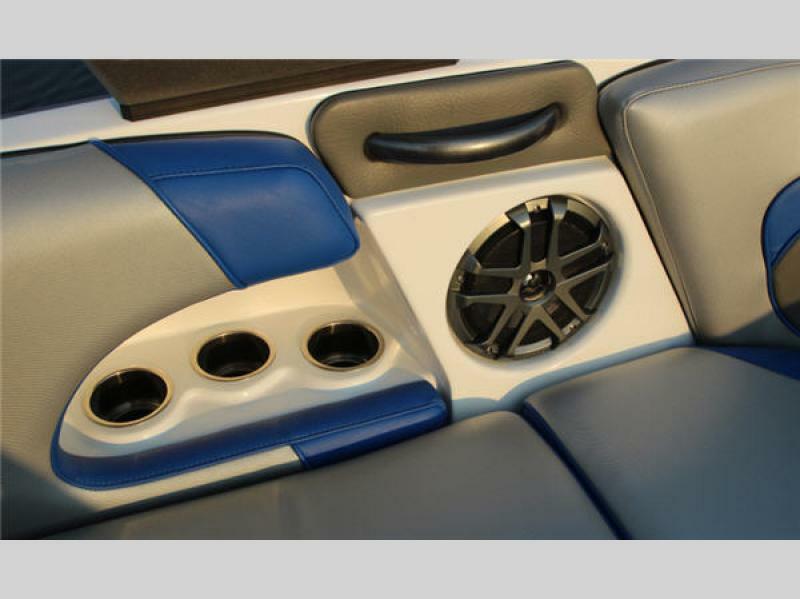 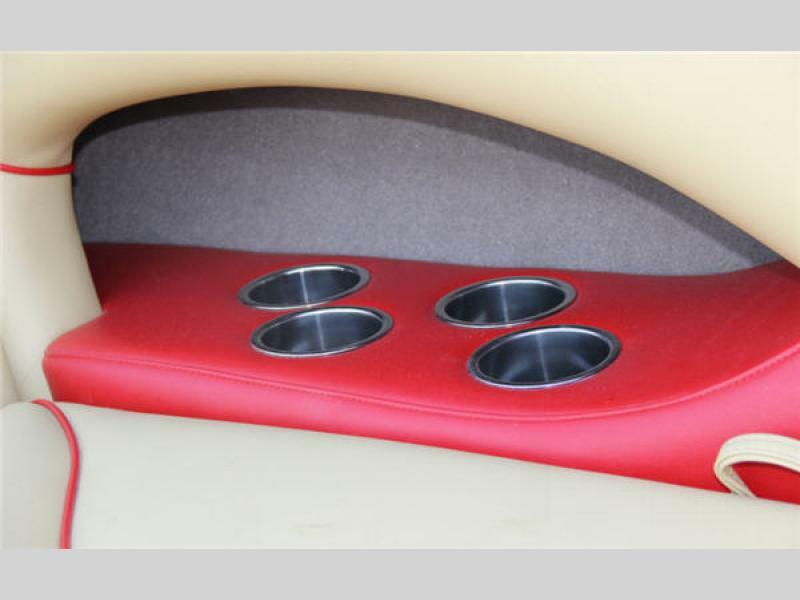 Ice Stereo with four 8″ speakers, one Amp and one Sub. 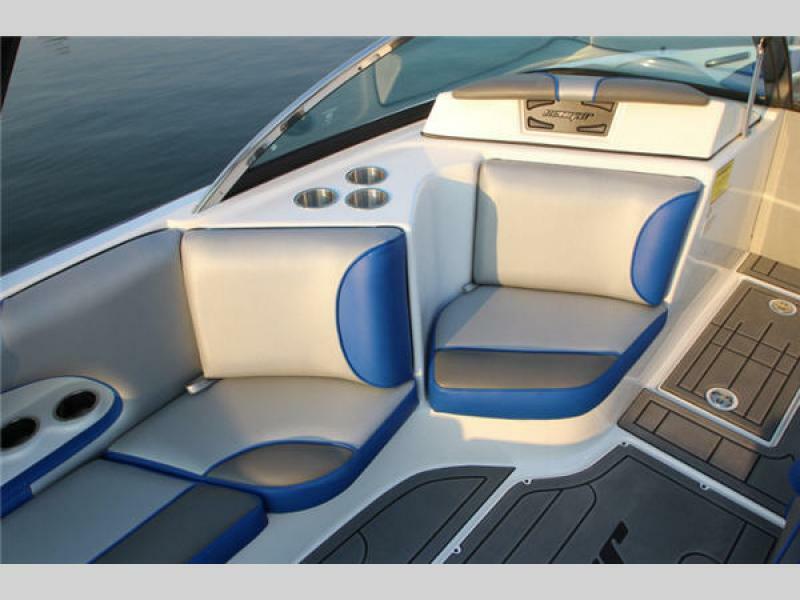 Large rear center walk-through with optional sundeck pad. 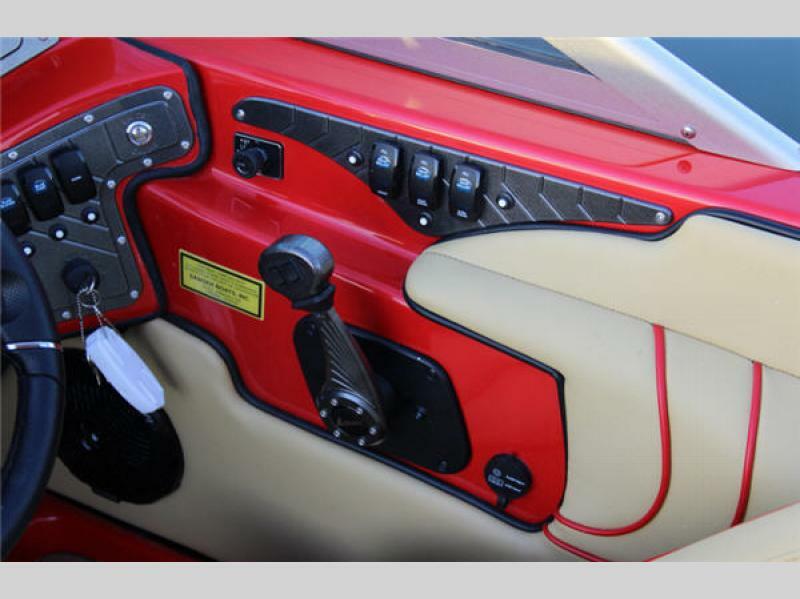 Quick shape Surf System built into the throttle handle.